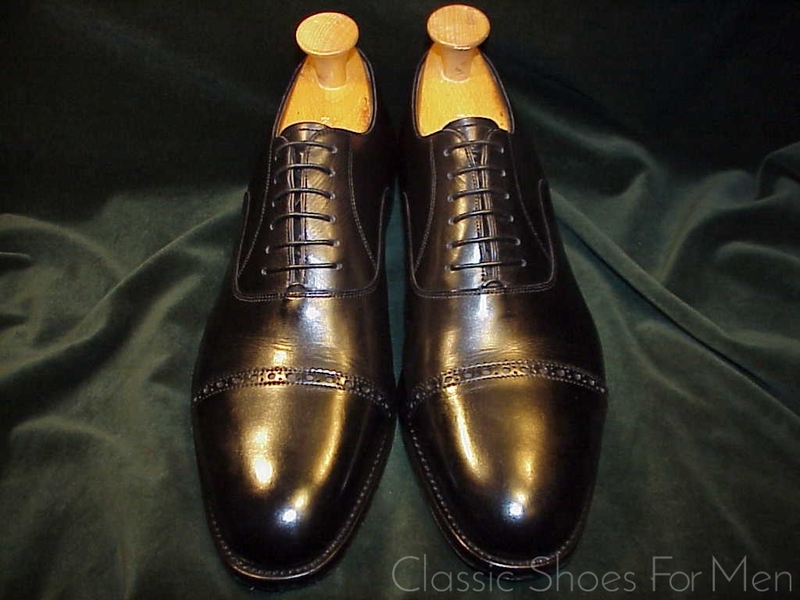 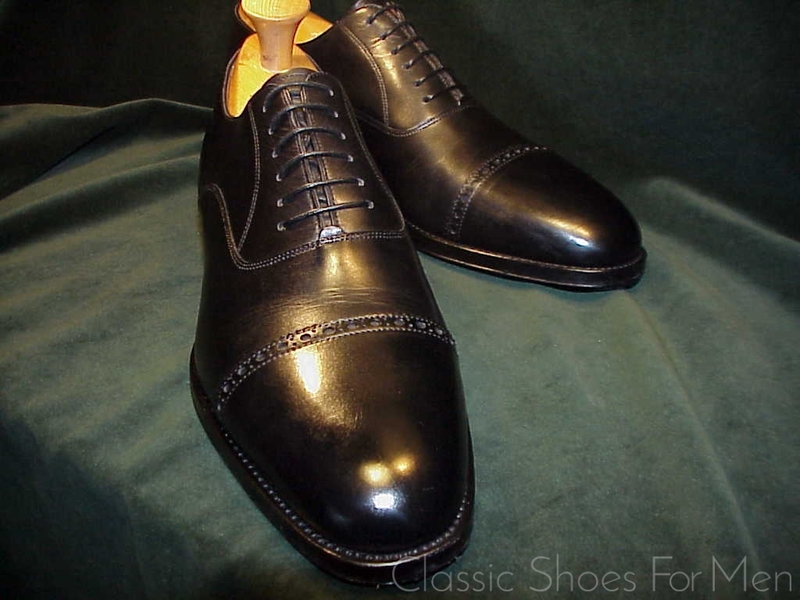 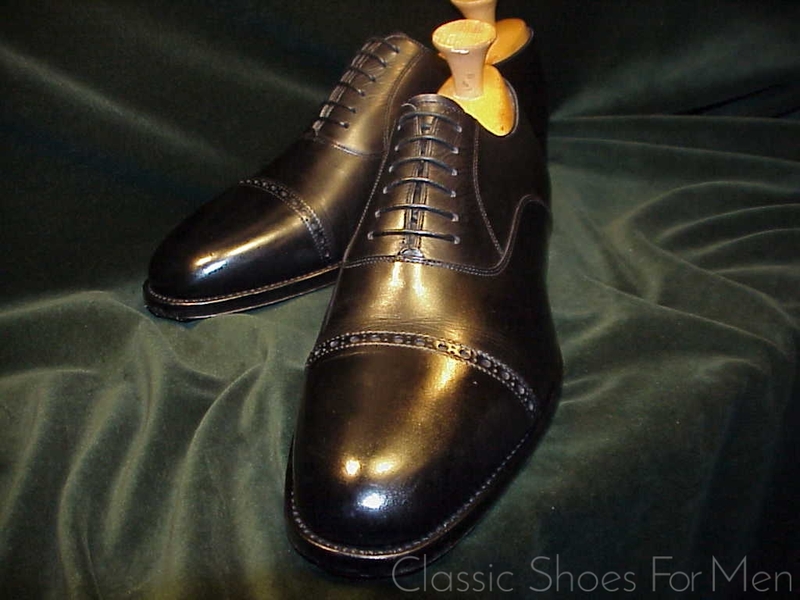 The present shoe is of that category, Goodyear Welted into a closed channel, as in bespoke shoemaking or the very best ready-made shoes. 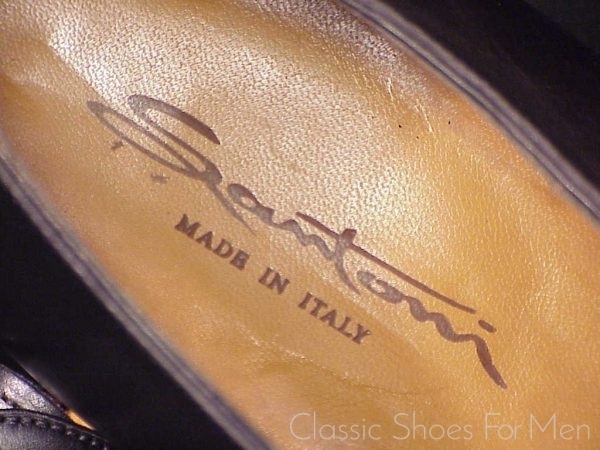 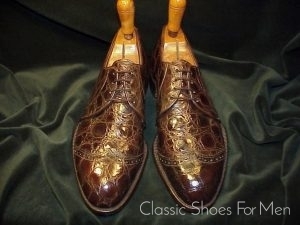 This shoe is to a great extent, hand-made. 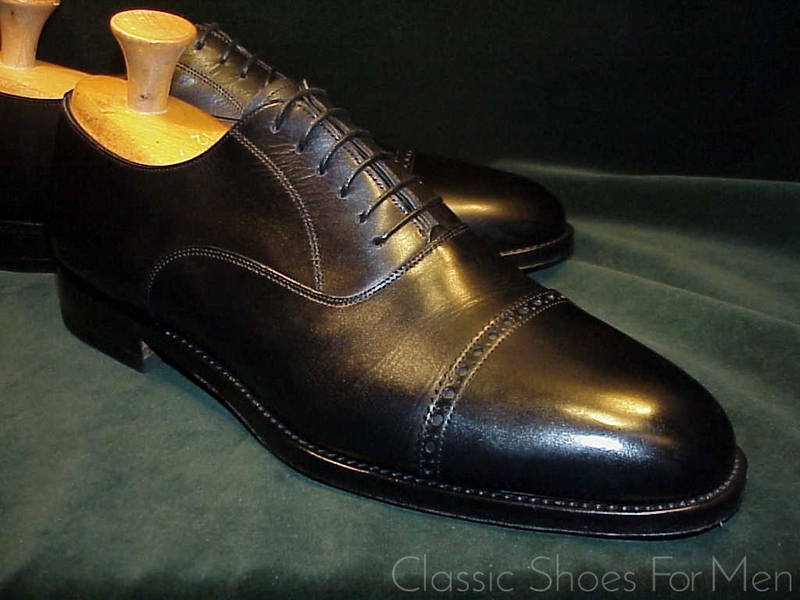 It is a lovely intense black that will take well to polishing. 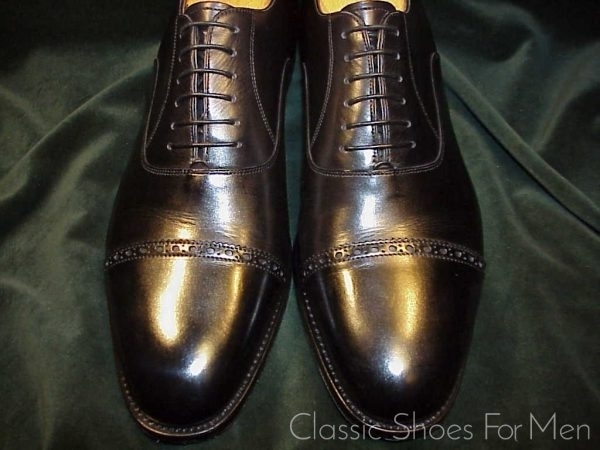 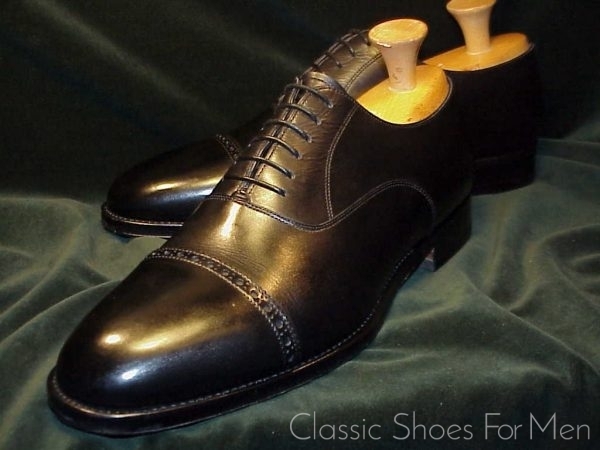 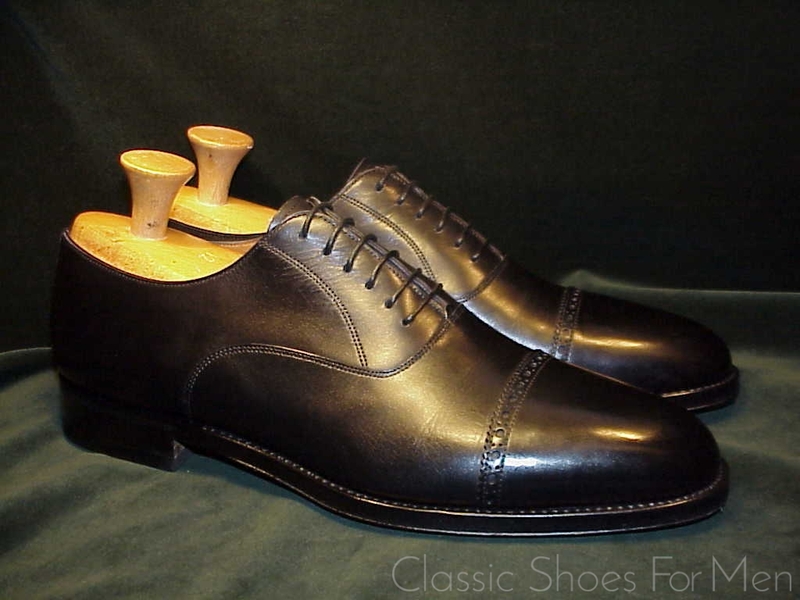 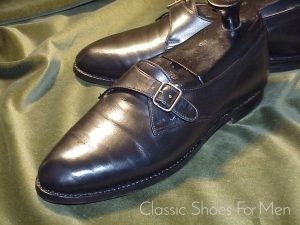 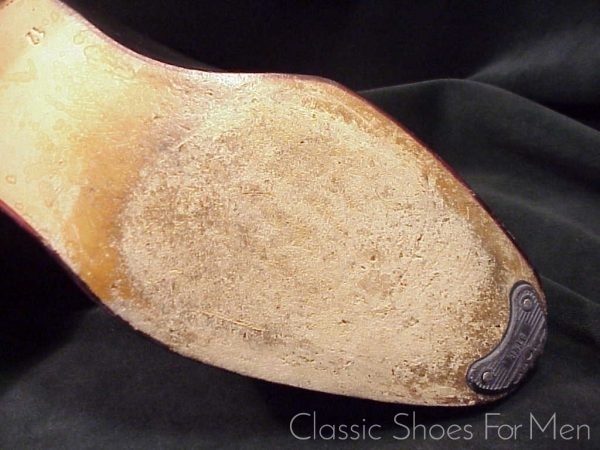 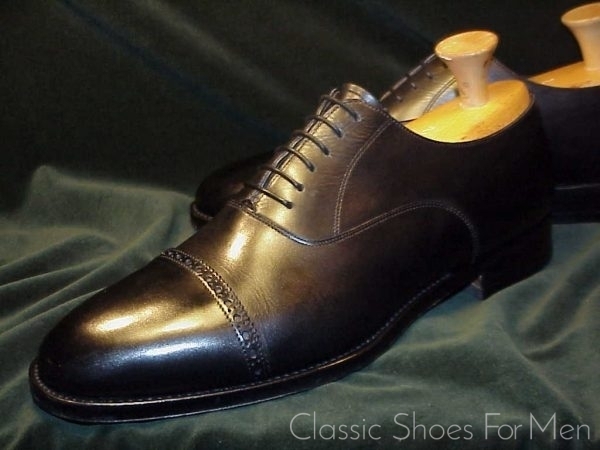 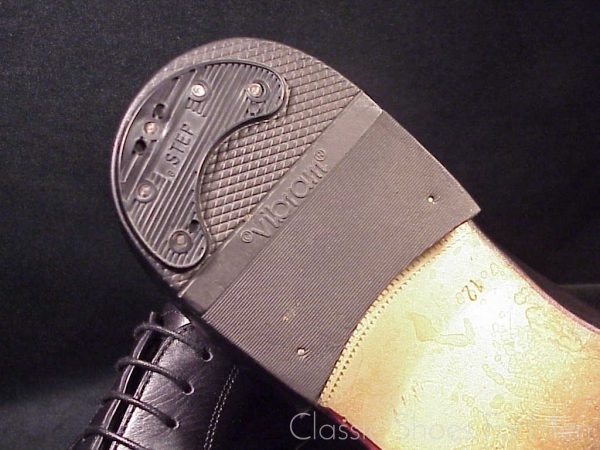 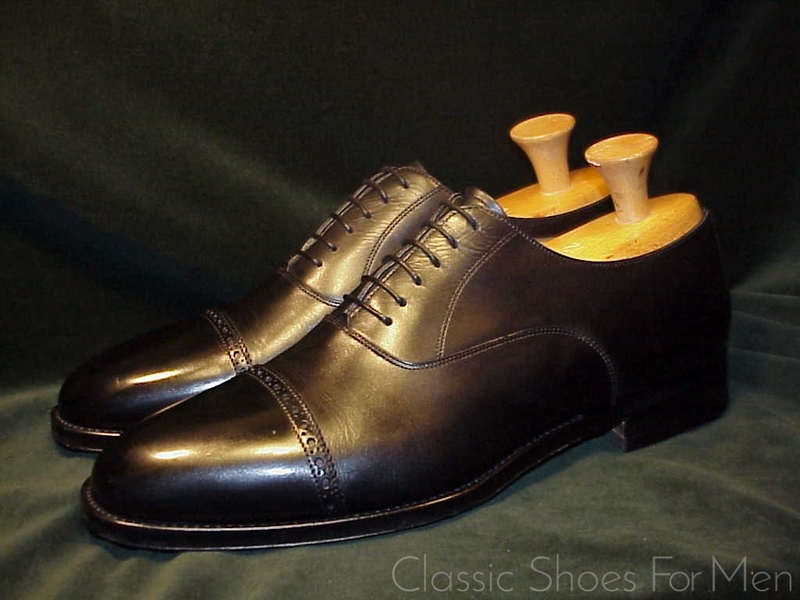 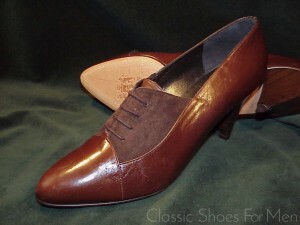 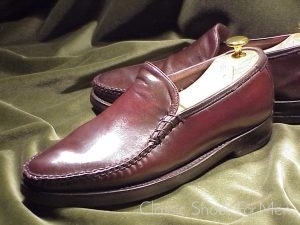 And do remember to polish it before wearing outside; this is an almost new shoe, worn once or twice only. 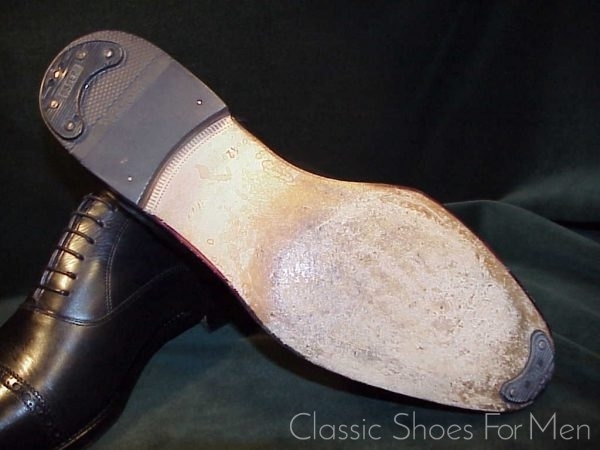 US 12D.....UK 11E.....Continental 46D, for the medium width foot.